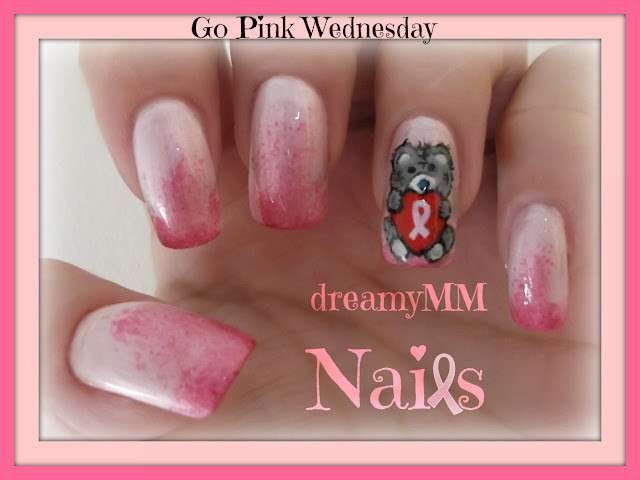 and is the 3rd Go Pink Wednesday! by start looking after our self! I'm in love, the bear is so cute! loooove!!! i did gradient for the first week! soooo cute! PS, do you know that your word verification is on (the number and word your commentators has to repeat before leaving a comment)? ?